Adoption records in Illinois are sealed, preventing adoptees the ability to access their medical history, genetic make-up, or learning why they were given up for adoption in the first place. An adoptee with a serious medical condition could greatly benefit by knowing his biological parent’s medical history. Release of such information that is non-identifying of the birth parents is being considered by the Illinois House. 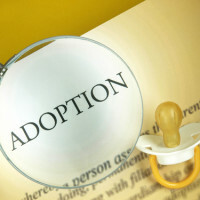 The new bill would allow agencies to let adoptees know the reason they were put up for adoption and medical history of their biological parents. If you have any further legal inquiries regarding adoption law, feel free to contact Johnson Westra Broecker Whittaker & Newitt, P.C. for a phone consultation.